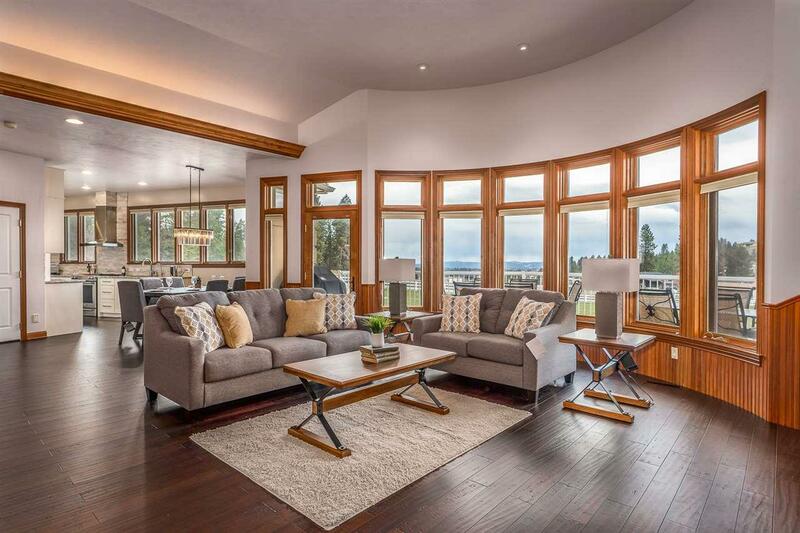 Spectacular & elegant w/ a touch of craftsmen and many quality upgrades. 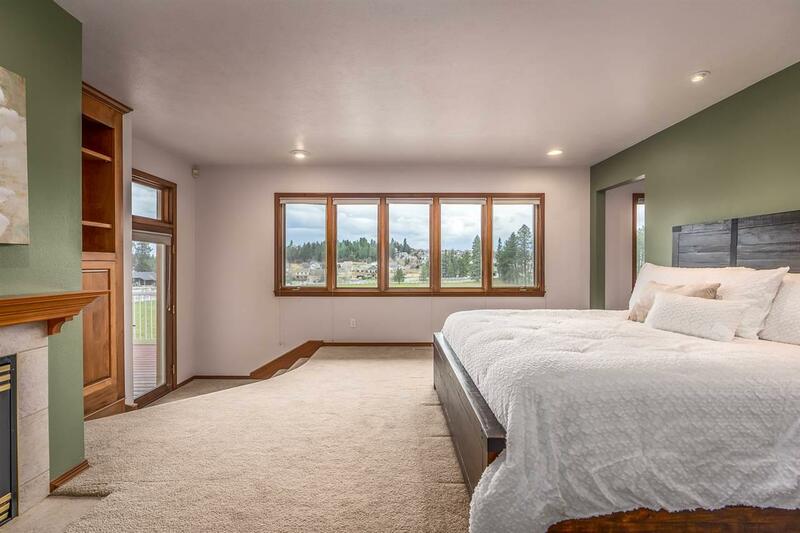 4 Br, 3 bth home w/ approx. 4350 finished sq ft. One of a kind! 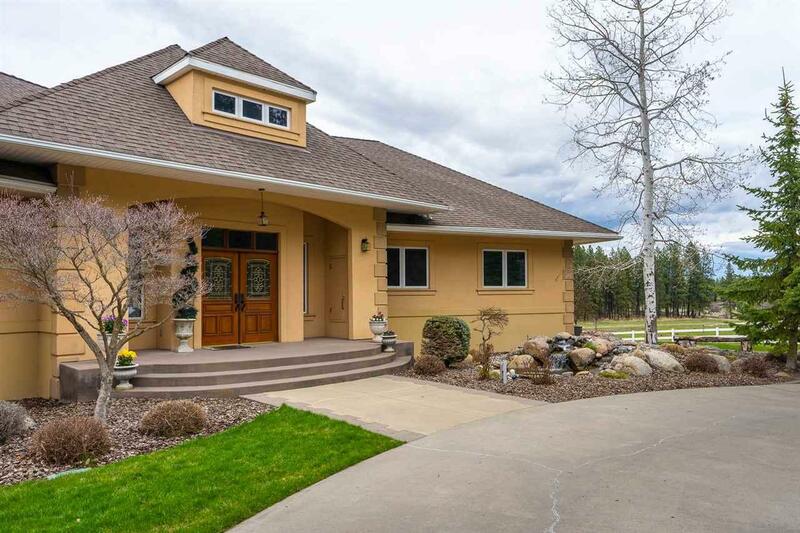 Close to town on 10 acres w/views overlooking the Spokane Valley. 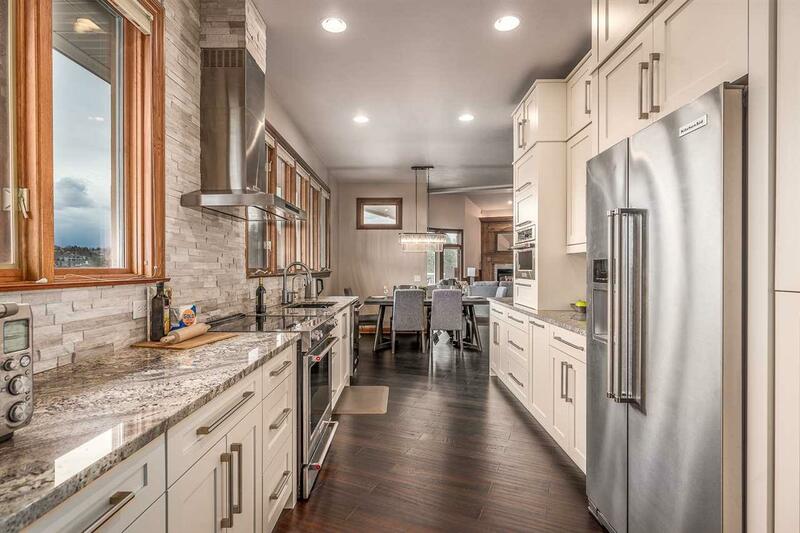 NEW custom kitchen w/ granite counters, backsplash and soft close cabinets. Bamboo floors. Custom tile showers. LED light fixtures. Electric vinyl fence surrounding the house and property lines. Cherry wood work and triple pane Hurd windows. Central Vac. Wet bar in basement. Water feature at main entrance.